Volkswagens are expertly designed and engineered, which reflects in their desirability and cost. If you drive a VW, consider yourself one of the more fortunate car owners in the land. Although Volkswagens are complex machines, even the simplest auto mechanical parts and systems require ongoing maintenance and care in order to function properly. Occasionally parts will wear out and need attention or replacement. One such part that commonly causes problems for drivers is the valve cover gasket. Your car is equipped with several of these parts, but their function is usually the same—to protect the internal engine components and contain critical fluids like engine oil. There’s plenty to say about valve cover gaskets, but we’ll keep it simple to avoid the unnecessary complexities of auto mechanics. In this article we’ll go over what a valve cover does for your VW, the typical warning signs that a valve cover gasket is failing, and what you can do the remedy the problem. As previously mentioned, the main function of a valve cover gasket is to protect vital engine parts and keep engine oil contained within its designated channels to maximize oil flow and engine performance. Although it’s a small, often overlooked part, it plays an integral role in your engine health and function. Valve cover gaskets are usually made of pliable materials, which leaves them susceptible to damage and wear over time—especially under the volatile conditions within the engine. If the valve cover becomes damaged or cracked, it can lead to problematic symptoms like oil leaks which will certainly affect your VW’s performance over time, if not immediately. Valve cover gasket condition is usually inspected with routine oil changes. While it’s normal for your engine to collect some dirt, debris, and dust, your valve cover gasket should not be visibly filthy or covered with oil sludge. If this is the case with your valve cover gasket, it should be replaced immediately. One of the more concerning symptoms of a faulty valve cover gasket, rough running conditions can cause VW drivers to panic. Engine misfiring is not an uncommon side effect of a faulty valve cover gasket; as oil leaks, it can leak down into the spark plugs, which will majorly affect ignition and combustion processes. This takes a toll on your VW’s power, acceleration, and overall performance. An unusually low oil level in your engine is never a good sign. It usually points to an oil leak somewhere, and can often stem from a leaking valve cover gasket. Once oil begins leaking, your engine is deprived of the necessary lubrication it requires to run smoothly. This creates more friction between the moving parts of your engine, which in turn produces excessive amounts of heat. It is also common to notice several warning lights in your dashboard associated with oil conditions/levels. If your engine begins to leak oil due to a faulty valve cover gasket, it’s not uncommon to notice oil dripping beneath your car; however, if this goes unnoticed, or the issue begins while the car is in motion, oil drips down onto the burning hot engine parts, immediately creating a burning smell. If you encounter this symptom, it’s critical to bring your car in for treatment right away to prevent further engine damage. For over 2 decades, the Volkswagen experts here at Ronin Autowerks have provided the communities of Fullerton, Anaheim, and Yorba Linda, CA with specialized service and personalized care. Our high quality of care and dedication to enhancing our skills and techniques has kept our reputation as the number one leading dealership alternative in the area for European import vehicles. Furthermore, we always offer affordable pricing for our services. If you’d like to schedule an appointment with us to service your engine or provide a diagnostic procedure, please contact us right away. We look forward to proving our integrity and restoring your VW back to its original performance level. 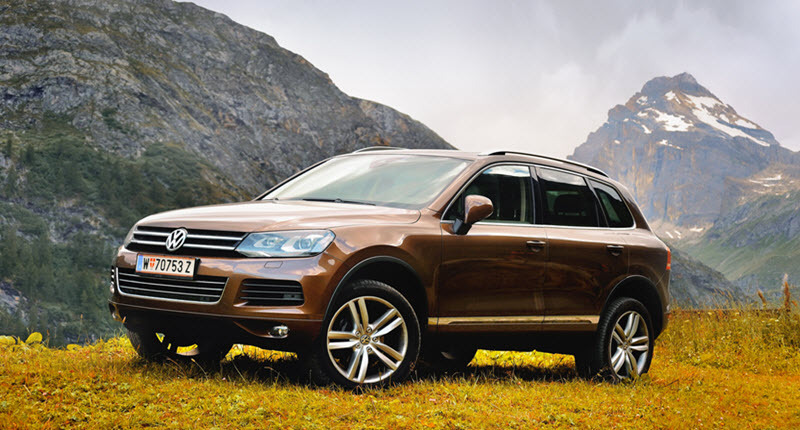 * Volkswagen Touareg ІІ image credit goes to: PavloBaliukh.